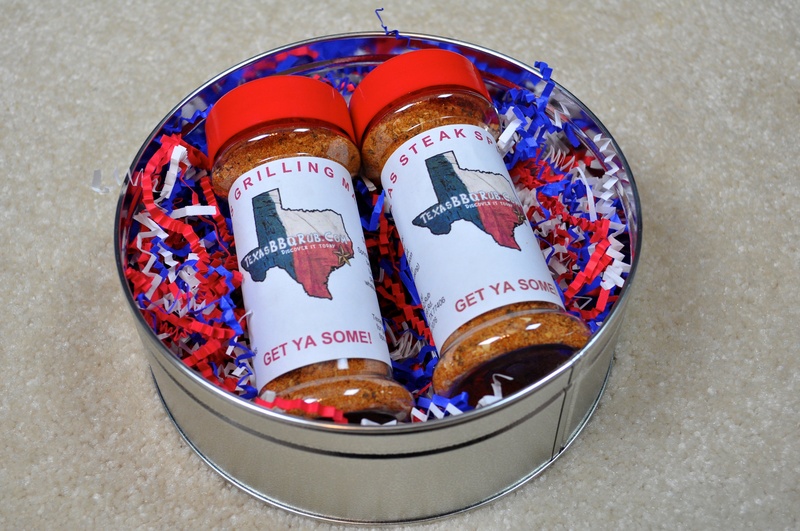 After years of requests, Texas BBQ Rub has finally brought forth a great gift for any friend of family member who has the passion for barbecueing. 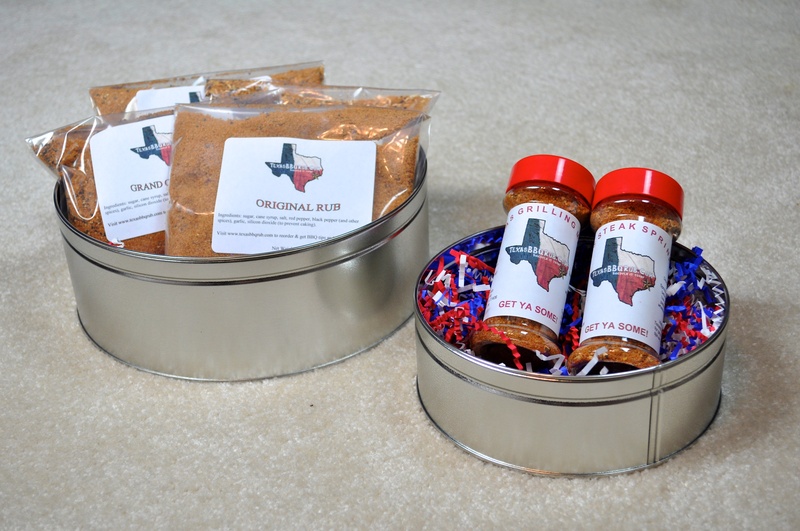 All of us at Texas BBQ Rub sat down and thought of how we could create a gift that showcases the best products we have the offer, an attractive gift like apperance, as well affordability we all love. What we did was make two separate gift packages. 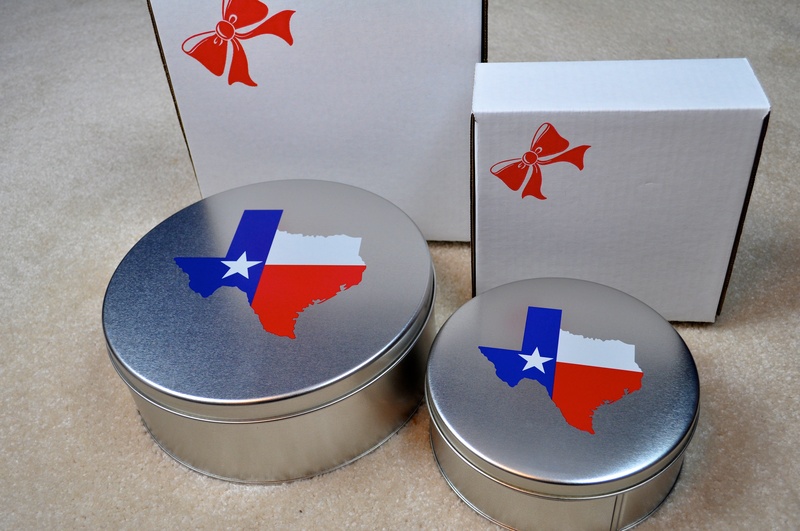 Both gifts come in a metal tin adorned with the state of Texas on the lid, our great products seated in bed of colorful crinkle paper, and come packaged in a ribbon adorned slim-fit box. Each gift tin will come with a decorative card which gives a brief description of the products, direction to an online area full of recipies and cooking ideas, as well as an invitation to join our monthly newsletter; BBQ Made Simple. Last, but not least, these gift tins will be shipped to your door using USPS Priority. Our gift tins will be available during certain times of the year; Thanksgiving, Christmas, Fathers Day, etc. Our first gift tin includes one bag of all of our award winning BBQ rubs. 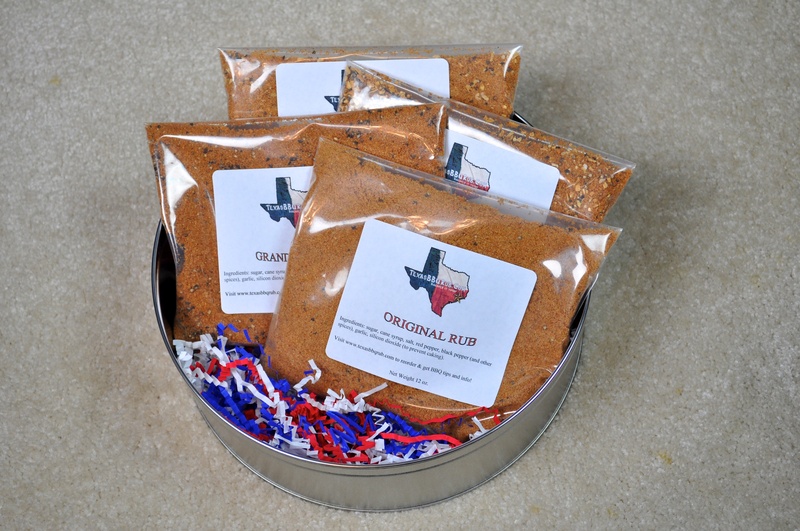 These rubs are forumlated for low-and-slow temperature BBQing. Ribs, briskets, pork ribs, pork loin, etc. Our next gift tin includes our high temperature grilling spices. These spices are great for steaks, vegetables, fish, salads, snacks, etc. You know, we put a lot of thought and effort into coming up with these gifts. 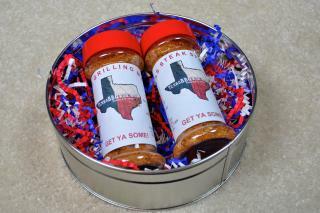 Give your loved ones, friends, or co-workers a little bit of the taste of Texas. It's bundled up in each one of these tins.